In the days when I worked Saturdays I would sometimes drive to work. The route took me past the mausoleum of St Pancras, the horrible mess of Kings Cross and the threatening gloom of York Way. Now it's all shiny blocks of flats, smart caffs and young men with dodgy beards. 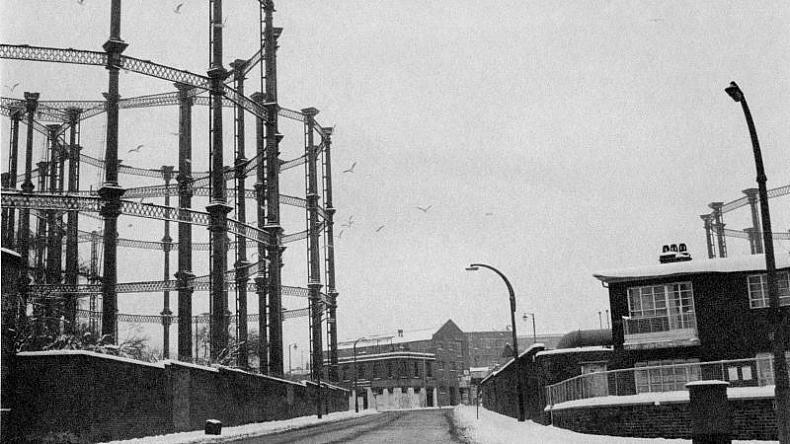 One of the symbols of that dystopian past was the gas works which loomed by the rail way line. Now they are coming back, all gussied up as a frame to an original resi block. Given the tedious nature of most new developments shooting up over London, a real attempt to do something interesting.